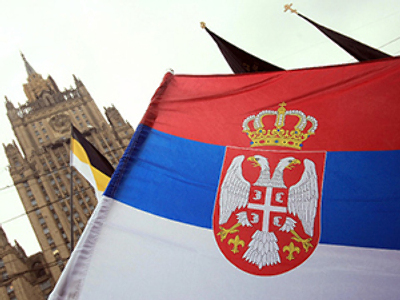 Moscow is gravely concerned over the uneasy situation in Kosovo and worsening ethnic intolerance in the region, Russia’s permanent representative to the United Nations Vitaly Churkin has said. Among the alarming signs the Russian ambassador named, for instance, the continuing desecration of Serbian temples and cemeteries. Also, territories of large Serbian enclaves in Kosovo are decreasing while small ones are simply dying out, he said. The situation with the preservation of the Serb Orthodox and cultural heritage leaves a lot to be desired. 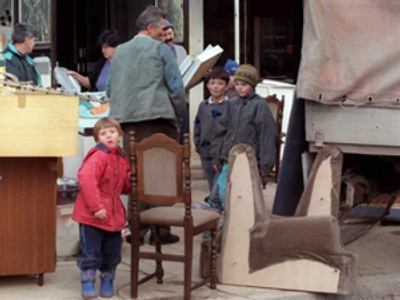 “In this context the special concern is caused by the NATO-initiated transfer over to the Kosovo police the monitoring of important Serb heritage facilities, the same as the general tendency towards the reduction of the KFOR [NATO Kosovo Force] strength,” he said as quoted by Itar-Tass agency. The mission’s indulgence and, sometimes, inactivity “undermine the authority of this mission that is practically going beyond the neutral status determined by its mandate,” the diplomat believes. Churkin stressed that EULEX must strictly observe the principles set by the UNSC Resolution 1244 which authorized international and civil presence in the partially-recognized Republic of Kosovo. What should be done, according to the Russian diplomat, is that the international community should give a legal and political assessment to the actions of the Kosovo authorities. “Otherwise it may cause a sharp increase in inter-communal tension,” he stressed.